FBMC54 series overhead door Magnetic Contact is for use in the rigorous environments of commercial and industrial installations. Magnetic Contact is mainly composed of two parts, Switch and magnet.Part of the magnet is encased in a plastic or alloy housing by a magnet of the corresponding magnetic field strength. When the two are separated or close to a certain distance, the switch is opened and the position of the object is induced. 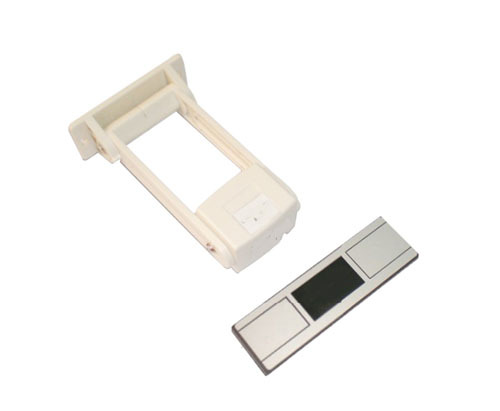 Looking for ideal Overhead Roller Shutter Sensor Manufacturer & supplier ? We have a wide selection at great prices to help you get creative. All the White Door Switch Magnetic Contacts are quality guaranteed. We are China Origin Factory of Wireless Safety Door Switch. If you have any question, please feel free to contact us.